Both devices share the same specification, with the exception of the resolutions of their displays and battery sizes. 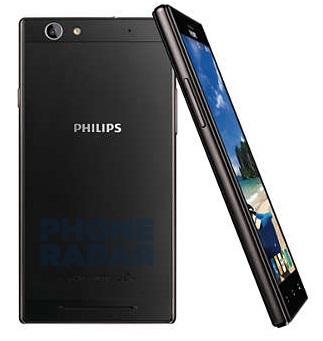 Philips has just unveiled two new smartphones, the Philips Sapphire S616 and Philips Sapphire Life V787. They both come with 5.5-inch displays with Philips’ SoftBlue technology that, according to the company, reduces the amount of blue light emitted by the screens by as much as 86%, thus greatly reducing the eye-strain for the users. Both devices share the same specification, with the exception of the resolutions of their displays and batteries. The more premium of the two, the Saphire S616 features a 1920 x 1080 screen, while the Sapphire Life V787 comes with 1280 x 720 resolution. Both new smartphones come with octa-core, MediaTek MT6753 processors clocked at 1.3 GHz and Dual-SIM capabilities. They are equipped with 2 GB of RAM and 16 GB of on-board storage (partly taken by the operating system), expandable up to 128 GB via a micro-SD card readers. Camera-wise, the new devices are outfitted with 13 MP rear cameras with f/2.0 lenses and LED flashes. The front cameras use 5 MP sensors. The Sapphire S616 comes with a 3000 mAh battery, while the Sapphire Life V787 received a whopping 5000 mAh unit. 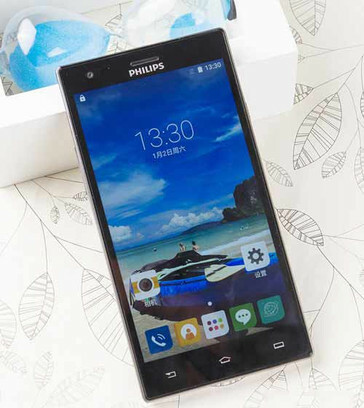 Both smartphones run Android 5.1 Lollipop with Philips’ own UI on top. The Sapphire S616 is now available in China at 1399 Yuan (approx. $222). The Sapphire Life V787 should hit the shelves by the end of November. No pricing information for this model has been released yet.